We are a renowned organization, which is engaged in offering EMI Shielding System to our clients. 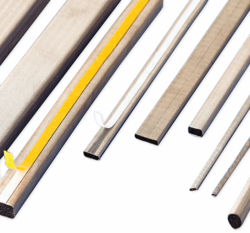 The offered range of EMI shielding systems is available in customized designs, colors, shapes and sizes to append and respond to the diverse demands of respectable clients. In addition to this, the offered range is available with copper fleece for wall covering and is approved for MIL standards. We have gained immense expertise in delivering EMI Radiation Prone Area Rooms Enclosure Systems to our clients. 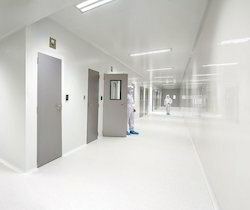 The offered range of rooms and enclosure systems for emi / radiation prone area is available in different designs, shapes and sizes to cater to the diverse requirements of esteemed clients. Along with this, the offered range of rooms and enclosure systems for emi / radiation prone area checked on number of characteristics to ensure its conformation with the benchmarks of quality. It is an ideal combination of TEXTILE GLASSFIBER and a special Copper-Screen. The screening effect provided by this system reaches up to 99.99% , signifying 80db measured to MIL-STD 285. The average conductivity is 0.015 Ohm/m2. Sheilding can be used in any room whereby the laying must be carefully controlled. Sheilding can only develop it's screening effect when it is used for the entire surface of the floors, walls and ceilings. Furthermore, openings in the walls, such as windows, doors, cable conduits etc. must be specifically treated. 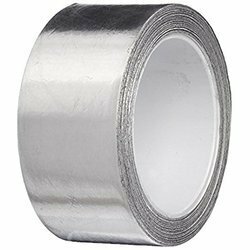 We are able to gain immense expertise in delivering Conductive Aluminum Tape. The offered range of conductive aluminum tapes is developed by trusted associates, who ensure to made it utilizing high grade raw material and innovative technology. Along with this, the offered range of conductive aluminum tapes is suitably checked on different characteristics to maintain its authenticity throughout the designing process. 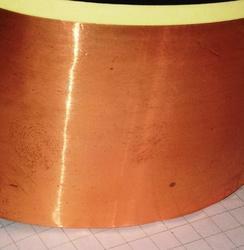 We provide Conductive Gaskets for EMI / EMC Shielding. These are available in any shape & sizes. 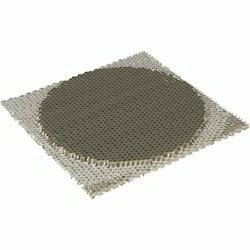 Base material is available in PU / EPDM / Silicon coated with Conductive fabric. Ideal for Panels, small cabinets, Shulters etc. Our customers can avail Conductive Fabric Tape from us. The offered range of conductive fabric tapes is designed utilizing optimum grade fabrics and innovative techniques in strict adherence with the industry laid norms and standards. Along with this, the offered range of conductive fabric tapes is suitably checked on different characteristics to ensure that defect free products are delivered at customers' premises. 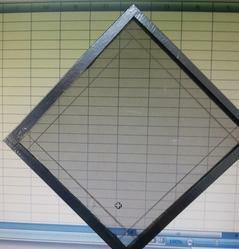 Transparent Cu Mesh is coated with conductive carbon. · Blackened 100opi Copper is a rugged mesh that is recommended for standalone use. · Mesh is the proprietary mesh optimized for optical performance without sacrificing EMI Performance. This is only supplied in finished window formats Sigma & Ultra. EMI Honeycomb Air Vent Filter plays roles of both ventilation (heat discharge) and countermeasure against EMI in shield room, chambers, electronic enclosures and so on The choice of material for EMI Air Vent Filter is greatly determined by EMI SE. performance of heal discharge and dimension of devices. 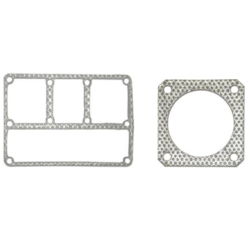 We can provide these Honeycomb Mesh with mounting frames as well as without mounting frames. Application: At all pannel Air vent to protct from EMI SHielding as well as Heat dessipation. In order to improve attenuation and avoid polarization effects a double-layer panel can be used, so that two honeycombs 6.35 mm thick produce a panel 12.7 mm thick or two 12.7 mm layers give a total thickness of 25.4 mm. here airflow may affect. Shield Cable with a PVC jacket, to protect the cable(s) from environment or to keep cables bundled together. There are several different closures, Velcro, Zipper, buttons, etc. 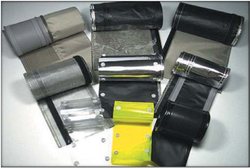 A PVC jacket is laminated with Al foil to provide EMI noise shielding. Some are available with additional layer(s) of shielding material such as conductive mesh, conductive fabric, to enhance the shielding performance. There are enough standard sizes to accommodate most needs. If a special size is required, we can produce customs size in different combination of closures and shielding layers. To enhance the shielding performance. There are enough standard sizes to accommodate most needs. If a special size is required, we can produce customs size in different combination of closures and shielding layers. Radio Frequency Identification (RFID) is a technology that allows you to identify the credit card, passport or driver's license in front of a reader scanner, instead of having to detect the code of the magnetic stripe. It 'a simple concept: the scanner sends an electronic signal that is received by an antenna connected to the RF chip card. The microprocessor is activated and the reader recognize the card. This technology is also used in the systems of access control and time and attendance through electronic badges with an integrated RFID microchip (also called transponders or tags). 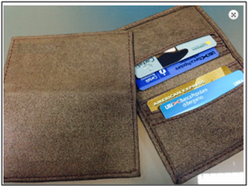 The advantages of using RFID cards are convenience, speed, and the elimination of contact with the card, but there is also a negative side. The chips based on radio frequency can be, easily, reading, copying and even manipulated by unauthorized persons. Looking for EMI & EMC Shielding System ?